The Merlin Nitro Aero carbon fibre road bike featuring Shimano’s brilliant Dura Ace R9100 groupset has been developed to be aerodynamic, super-stiff and responsive making it ready to race straight out of the box. 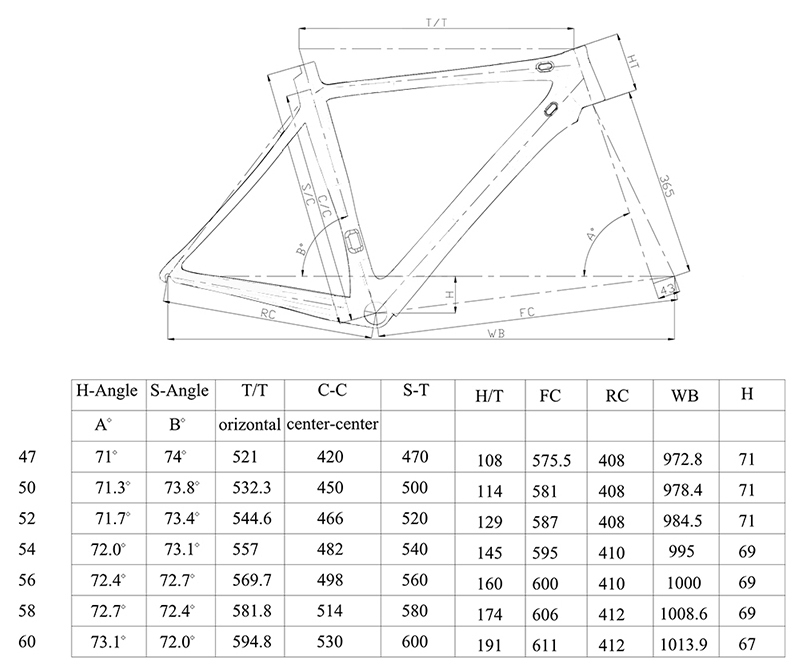 Each tube profile and frame junction has been specifically designed and constructed to cut through the air more efficiently encouraging you to attack the bunch and hold your speed in an aerodynamic tuck. This exclusive ex-showroom bike has been used for display purposes only and is a great opportunity to own your dream bike at a reduced price. The wind-cheating Nitro Aero frame and fork includes all the design-features you’d expect in a modern aero road bike including an aero profiled down tube, smooth integration from the fork crown into the frame head tube and down tube, an aero profiled seat tube and big boxy chainstays blending seamlessly into the large bottom bracket area for a super-stiff cockpit that enables you to transfer all of your power through the frame. Internal cable routing contributes to clean lines and an uncluttered silhouette while an aero seatpost specific to the Nitro Aero frameset fits seamlessly into the seatpost clamp. The Merlin Nitro Aero doesn’t just hold its straight line speed well but also handles brilliantly on the open road and has been engineered to help you descend and corner in confidence. This agile bike keeps you comfortable too, with a small amount of compliance built into the seatstays you’ll feel encouraged to stay in the saddle longer while your average speeds keep on improving. This limited-edition version of our Nitro Aero called for the very best in componentry and so we made sure we specced exactly that. Featuring full Dura Ace 9100 the Nitro Aero showcases Shimano’s premier mechanical groupset made up of super-lightweight materials, the most precise shifting gears, brake calipers that are more confidence inspiring than ever before and the best-looking componentry that has been developed to date. No high-end carbon road bike is complete without an equally capable pair of wheels and when we put together the limited-edition Nitro Aero we knew we wanted to spec a wheelset that would be light, smooth and durable and would allow you to accelerate quickly and be able to out-climb the competition. The Shimano Dura-Ace C24 carbon laminate clincher wheelset featuring lightweight titanium hubs will help you ride faster and more efficiently complimenting the Nitro Aero in both performance and looks. To complete this ultimate bike build we’ve included Continental GP 4000 tyres, Deda bars and stem as well as a Pro Griffon saddle help ensure all contact points are comfortable and support over long distances. 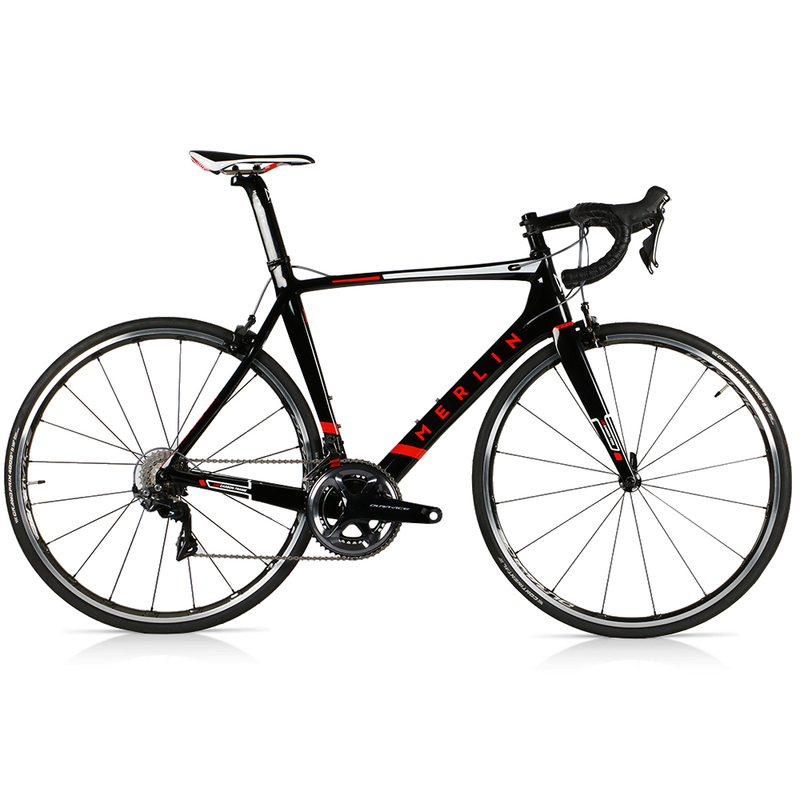 Whether you want to beat the competition at your weekly crit race, want to improve your bike split at that upcoming triathlon or are simply looking for the ultimate aero road bike to enjoy on the open road and want to be the first to the café stop our ex-showroom Merlin Nitro Aero Dura Ace 9100 is the perfect bike for you. This exclusive ex-showroom bike has been used for display purposes only and is in excellent condition.